CSD certification in Cleveland is an exclusive opportunity provided by KnowledgeHut which would help you be part of the well-established economy of Cleveland. Cleveland is a huge city in the state of Ohio. The city leaders have promoted growth in the field of technology and science in the first decade of 20th century; hence, we find many headquarters of large corporate firms and many more still to come in this budding city. Certified Scrum Developer training in Cleveland is a unique course that helps aspirants understand the fundamentals of scrum methodology. The comprehenisve workshop aims at coaching participants on all the principles of scrum, its theories and adapting to agile engineering skills. The lectures help you understand the solid design principles and test driven development. These aspects are key in a real time working environment of an organizational setup. Apart from the fact that KnowledgeHut institute has been accredited by gloabally recognized organizations such as, Project Management Institute of USA and Scrum Alliance and have trained thousands of individuals the world over, Certified Scrum Developer certification in Cleveland helps one understand the importance of continuous integration and how it effectively helps design and build a unique product. 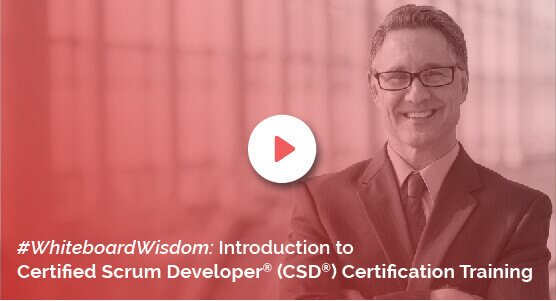 CSD course in Cleveland also helps you gain Certified Scrum Developer credentials which will enhance your professional quotient significantly. The agile and scrum mindset helps follow practice of just-in-time and avoid over-design. It will help improve the overall standard of a product. The materials and practice session provided during CSD training in Cleveland by KowledgeHut help the students grasp the fundamentals of scrum very easily. At a very fair cost, the ones who register receive high quality training from industry experts and Scrum Alliance authorized tutors. This is what makes it a coveted course.